Seeing really is believing—but so is touching. 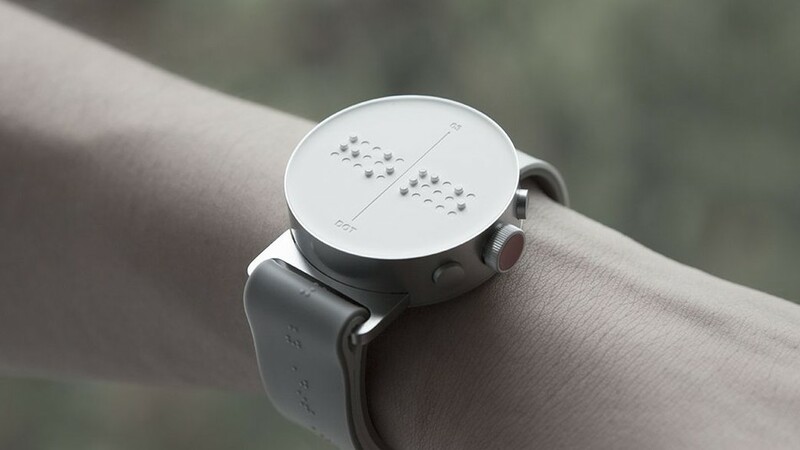 Nothing fortifies this statement more than the new braille smartwatch from Dot Incorporation. After more than 140,000 presale orders, the South Korean company finally introduced its Dot Watch for the visually impaired. This amazing device allows those who read braille to access information on their wrist the way many with normal vision do. The Dot Watch offers privacy to those with sight issues that other vision-impairment products can’t provide. Other types of tech that assist the blind require sound cues and voice translations, which can be heard by other parties. The Dot Watch, however, lets its wearer utilize it discreetly. This is very handy for those who wish to keep their private information … well … private. It’s difficult enough making it through this world with perfect eyesight. Things that you and I may take for granted on smart devices—like making a bank transaction, reading a text, or getting directions—can be a strain for the visually impaired. 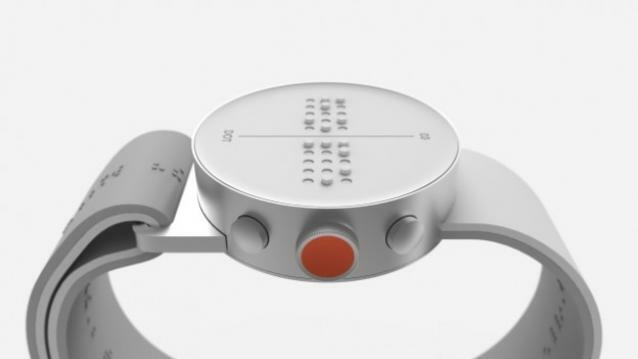 The braille Dot Watch is linked via Bluetooth to a smartphone. It utilizes a touch display that features two dozen dots (hence its name) which rise and fall with each word. The wearer then simply runs his/her finger over the tactile display to read the information. It also features two side buttons which allow the user to send their own messages. The Dot Watch comes in both small and large sizes and costs approximately $359. Besides being a helpful tool for the blind, it’s incredibly stylish—sporting a very sleek, modern, minimalist design that rivals the look of other smartwatches, sport tech, and top spy gear. While the Dot Watch is sure to improve the life of many visually impaired people, it won’t help all of them. The problem? Braille comprehension is on the downslide—and has been for over a decade. Less than 10% of the legally blind community know how to read the language. Why? Modern technology has made it less of a necessity. Still, Dot Incorporation believes there is a great desire for this type of technology. Not only are they taking part in trying to push and help improve braille literacy across the globe, they are looking toward applying the modern capabilities to other forms of products.